Food Truck Fridays on the Rock Falls riverfront is one of the best ways to spread the word about all the amazing food options available in the Sterling/Rock Falls area. The Rock Falls River Chase will make waves again this year on the Rock River from 11 a.m. to 5 p.m. Sept 22 & 23 at Seward Park in Rock Falls. 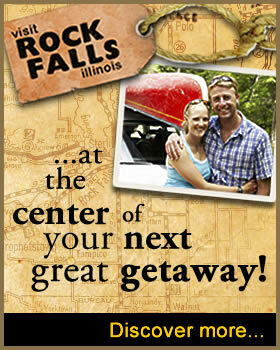 Food and kids' activities available. The Rock Falls River Chase will make waves again this year on the Rock River from 11 a.m. to 5 p.m. June 29 & 30 at Seward Park in Rock Falls. 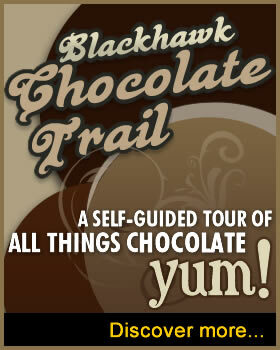 Food and kids' activities available. 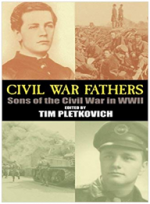 'Civil War Fathers' is the story of eight American families whose fathers fought in the Civil War and whose sons and daughters fought in World War II. It evolved from an interview project involving middle school children in Peoria, IL, into an amazing book encompassing almost 100 years of American history in two generations. 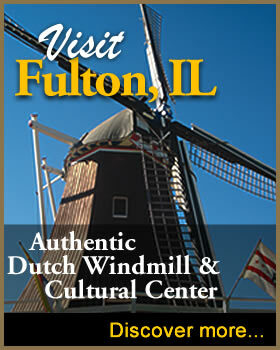 Fulton will celebrate their annual Dutch Days May 3 & 4. APR. 18 | STERLING: Enjoy a one-time showing of "Sons & Daughters of Thunder," a movie based on the critically-acclaimed play by Earlene Hawley and Curtis Heeter. "Sons & Daughters of Thunder," tells the true story of the 1834 Cincinnati, Ohio Lane Theological Seminary anti-slavery debates. 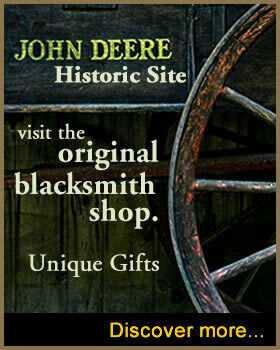 APR 7 | STERLING: Chief Black Hawk program being given by local historian Ron Koehn. The program is free and open to the public and refreshments will be served.